The realm of the real and the realm of the video game may be completely different in practice, but their connection is not all that different. No, they are more similar than you may have first thought. And, playing video games can even have a direct impact on, and even improve, your life. Don’t believe this? Well, read on to find out how. When you play a video game you take it upon yourself to beat whatever it is that is put in front of you and then fight your way through to the completion of this game. And, this kind of challenge, especially when the game is hard or played on a hard mode, does wonders for boosting a sense of personal responsibility. What it does is give you the chance to burden the task of focusing to get the job done as well as the chance to burden the task of trying to improve situations around you and make them as easy to manage as can be. Video games, especially those that fall under the category of being strategy games, have the potential to make your brain bigger. They do this by exercising the parts of your brain that are used to solve problems, such as the part that holds your memories, the part that deals with planning, the part that deals with muscle control and the part that deals with spatial navigation. So, if boosting your brain in such ways sounds enticing to you, then get yourself a strategy game; in fact, get yourself one on your smartphone and get exercising that brain of yours throughout your day wherever and whenever you are! This could mean opting for an old reliable like sudoko, or this could mean opting to play Final Fantasy XV on iOS or Android. And yes, before you ask, the massive Final Fantasy gaming series has come to the world of mobile gaming very much as a strategy game! Some people play video games in such a way that it either becomes their job to play them to an extent, or in fact it actually does become their job to play them. But, most people just play video games in their spare time in order to provide themselves with some much needed downtime. 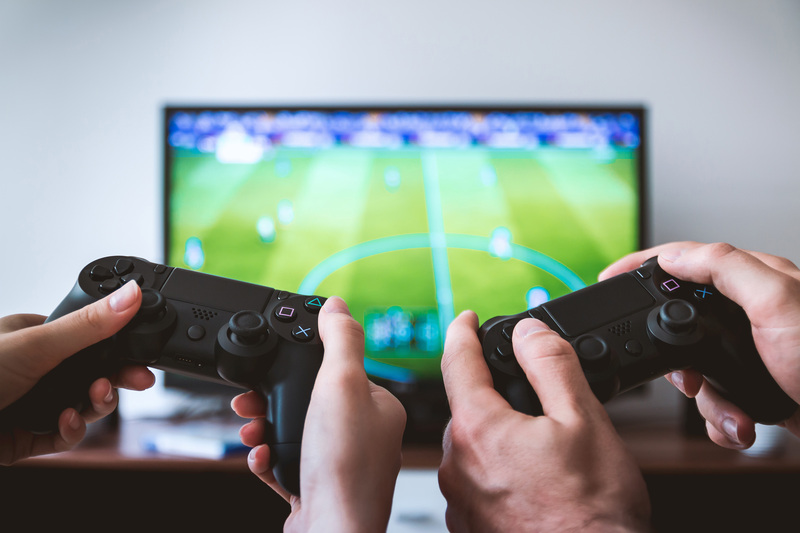 If you fall into the latter category, then you can be sure that your video game playing is providing you with all the stress beating and anxiety relieving chemicals your body needs to recharge and just generally get through life. Well, this is the case if you refrain from playing particularly rage inducing games, or games that just seem to anger you whenever you play them! Some people find multi-tasking harder than others, that’s just a given. But, if you fall into the category of being a poor multi-tasker, then fear not as there are actually things that you can do that will help you to get better at the art of dealing with being tasked with multiple things to do at one time. One of these things is to play video games. Yes, when you play certain video games, such as first-person shooters like Call of Duty, you will be having to deal with many things at one time. When playing COD, for instance, you will be having to deal with things like visual distractions, auditory distractions and you trying to shoot something whilst having something shooting at you at the same time. And, when you are having to deal with aspects such as these simultaneously and at one time, and you are having to do this regularly, you automatically boost your ability to do so. Thus, you instantly boost your ability to multi-task! Having to let go and start over with things in life may seem like a bit of a deep topic to cover, but it is actually something we humans are faced with doing regularly, if not daily. And, as you’ve probably guessed by now, playing video games can help you get better at doing it! Yes, when you lose on a video game, as frustrating as it is, you just let go of the failed attempt and start over, right? Well, doing this regularly enough when playing video games is going to make it easier to do in your real life, too. Video games really can improve your life. If the points above weren’t enough to persuade you on the fact that this is the case, then make sure to check out this article detailing how video games can have a positive impact on child development. That might just be enough to persuade you!